Home » MIC Information » Frequently Asked Questions: What do I do if I think I have a MIC problem? Frequently Asked Questions: What do I do if I think I have a MIC problem? A sample of water is taken to identify which of the six bacteria types most commonly associated with MIC may be present in the system and the approximate population for each. 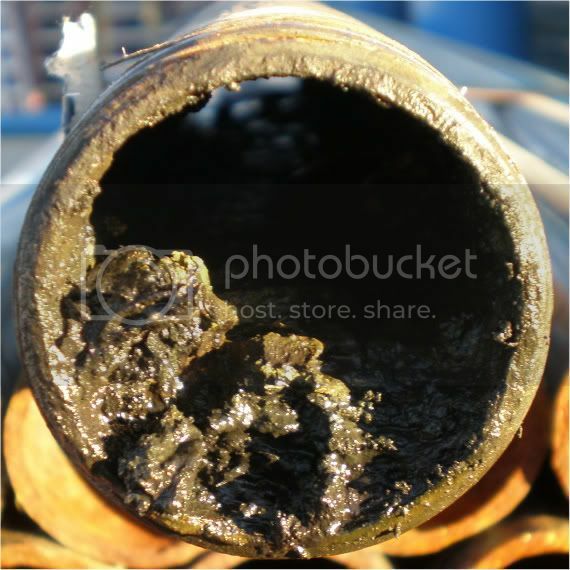 A sample of water and any deposits found in the system (solids, mounds, tubercles, particulates) are taken. The deposits and water are then tested for the six bacteria types most commonly associated with MIC that may be present in the system and the approximate population is given for each. This test complies with the inspection requirements of NFPA 25. Once a pin-hole leak is created, the metal consumed by the bacteria cannot be replaced. A system experiencing pin-hole leaks should be inspected further to locate and replace all pipe sections that are found to have pin-hole leaks.